Did you know that the majority of Americans over the age of 35 have this disease? It is a disease process of the gingiva and supporting bone structure, beginning with bacterial growth in the mouth. If you fail to practice proper oral hygiene, then plaque may begin to grow under the gum line, setting in motion a long-term corrosive environment for your teeth and gums. If the bacteria and other contributing factors are not removed and controlled, periodontal infections will ensue. Please note that not all cases of gingivitis become periodontitis. However, if the teeth are not rid of plaque, it will lead to this advanced stage of gum disease. The oral cavity is the dirtiest part of the human body. It is perpetually populated by harmful microorganisms that work in a synergistic manner to destroy the living tissues found in the area. They thrive off the carbohydrate content of plaque. The oral cavity usually contains more than 500 different types of microorganisms. 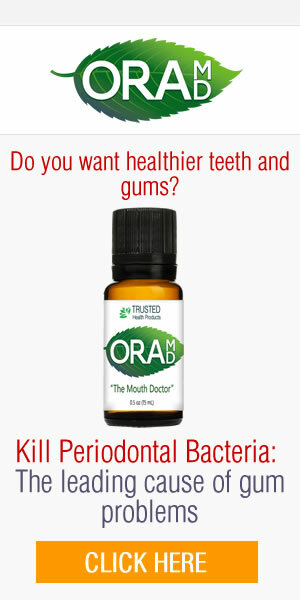 Studies show that these pathogens play an important role in periodontal problems. However, it is still unclear about which play the biggest part in bone and tissue breakdown. During the early stage, bacteria begin to flourish in areas of heavy plaque build up. The toxins produced will cause the gums to become red and inflamed. These toxins literally eat away sensitive gum tissue over time. During this stage, many patients complain of bleeding gums when brushing their teeth or flossing. This is not normal! The gum tissue might have a bright red and bulbous appearance, due to pathological changes. Take note that healthy gums are coral pink in color and the interdental areas are knife-life, not rounded. Keep in mind that no bone or tissue damage occurs at this stage. However, a lack of symptoms does not mean you don’t have gingivitis. The process is at work long before you notice the signs. If one does not treat gingivitis, then the bacteria will slowly eat way at the gum line and supporting bone will become exposed. If you look in a mirror and are able to see through your teeth or if the gingival tissue is not attached, then you likely have periodontal pockets. This means that bacteria is at work in the area to slowly destroy the area. Once the gum pockets increase, bone and support gum tissues undergo degeneration. Periodontitis is the leading cause of tooth loss in adults. Gums separate from the teeth and deeper pockets develop exposing the teeth roots. At this stage the roots more susceptible to the entry of bacteria and further deterioration You also become at risk for more serious health complications as the bacteria enter your bloodstream. Some have died as a result of serious periodontal infections. Periodontitis treatment is necessary in order to avoid further health risks and complications. It is very important that you recognize the main symptoms of gum disease. This disease may progress slowly and at times, even painlessly. 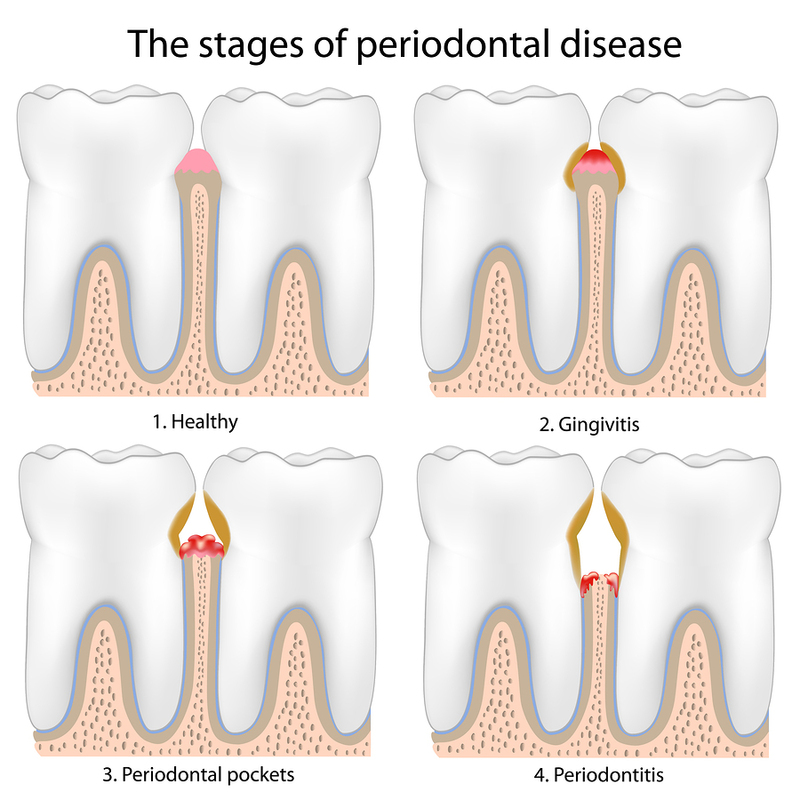 Some people do not notice that they have gum disease until it has progressed to periodontitis. The symptoms can be through the gum line or localized in one area. Here are some warning signs to watch out for. Uneven dentures or teeth bite. If you have any of these symptoms, you need to pay attention closely. Do not immediately start brushing harder and investing lots of money in dental care products. Before you do anything, you must know the main cause. You simply cannot have a successful periodontal disease treatment unless identifying the root cause. Smokers produce less saliva, and they are prone to dry mouth syndrome or xerostomia. The lack of saliva allows the bacteria to build-up. Some types of medicine can contribute to the development of gum problems. Anti-angina drugs like Adalat and Procardia are known to cause abnormal gum tissue growth. Dilantin, an anti-convulsant is another drug that produces the same results. Puberty, pregnancy, monthly menstruation, and menopause are important stages in life wherein the human hormones fluctuate at greater levels. During these phases, the gums are more sensitive and prone to gingivitis. Diabetics, people with HIV and cancer victims have weaker immune systems, in comparison to their healthy counterparts. Those with limited immunity are prone to develop infections more often. If one or both your parents have a dental history of periodontal problems, studies show that you have a higher chance of sharing the same fate. This is why it is important to practice proper oral hygiene. If you are an otherwise healthy individual who practices poor oral hygiene, you are still prone to gingival disease. If you have weakened gums, it would be best to use a liquid toothpaste to minimize trauma or insult. Invest in natural solutions that contain spearmint oil, almond oil, and peppermint oil. These are natural disinfectants that soothe while they cleanse. Once a patient is diagnosed with gum problems, the dentist starts an aggressive yet conservative treatment to promote healthy reattachment of the gingiva to teeth. He or she may prescribe antibiotics to control the infection as well. The gum treatment may take time as the patient will be asked to make regular bi-monthly visits for the initial two to three months of treatment. People who suffer from bruxism, or night grinding, may be prescribed with appropriate mouth gear, in an effort to lessen tooth trauma. Since deep scaling is performed during the treatment period, the patient will also be asked to use antibacterial wash and/or mild liquid toothpaste, as he or he will be unable to brush the area at this point in time. The answer is yes. People with gum disease can even expect the condition to be reversed, with the right dental techniques, of course. Proper daily oral hygiene habits must be practiced. Moreover, it is essential to have your teeth cleaned by a professional at least twice a year. However, people who have advanced periodontal disease are usually asked to visit their dentist once or twice a month, to ensure that it has not progressed. At home, you might also be prescribed to maintain proper oral health with natural liquid toothpaste. Some health and lifestyle changes can help prevent and control the problem. Stop smoking, especially if you show signs of periodontitis. It should also be noted that there is a slim chance of success in periodontal procedures on patients who are smokers, as cigarettes act as a vasoconstrictor. Therefore, blood flow to the site is diminished. People who are under higher levels of stress have weaker immune systems. This makes them prone to develop infections. Try yoga or meditate. Have a healthy dose of retail therapy. Read a book. Do whatever makes you feel relaxed in your free time. Avoid clenching and grinding your teeth as well. A proper and balanced diet can help ward off gum diseases. Eat foods that contain potent antioxidants and those that contain calcium, vitamin E, vitamin C and phosphorus. A well-balanced diet will make your immune system stronger. Appointments are usually every 6 months or as often as your dentist advises. They will be able to clean in the crevices of the gums where most of the damage is usually done. Use a soft-bristle brush to clean your teeth at least twice per day. Make sure that you do not use dental products that have harsh chemicals that may only further irritate your sensitive gums. This is probably the most neglected habit. Many people who have later lost their teeth and had extensive dental work for dentures have commented how they wish they had flossed regularly earlier in life. Next time you are with your dental hygienist, ask for proper instructions about how to floss your teeth. Periodontal disease leads to tooth loss. If you are someone who wants a healthy set of teeth that will last a lifetime, it is important to take significant steps to avoid plaque build-up. dental care will save you more money in the long run. Imagine living a life free of dentures and the fear of the dental drill. It does not have to be the inevitable for you. You can take action today. Take action today. Talk with your dentist to start treating periodontal disease. Since gum problems are reversible during the early stages, proper oral care techniques can help stabilize your teeth and prevent the progression of the problem. What are you waiting for? What is Periodontal Disease? How Can I Prevent it?